If you know someone sweet who would love something even sweeter, then this is the bouquet for you. 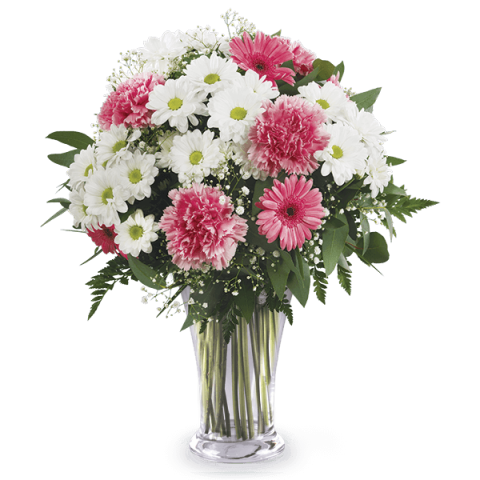 This magnificent mixed pink bouquet of pastel-coloured gerbera daisies makes a great surprise gift for many occasions such as on a birthday or to make your anniversary extra special. Well done!!! Thank you very much! On time as promised and absolutely beautiful! Love my flowers and very kind service! Great service, everything was done on time and as expected! Everything was just perfect. Thank you. Recipient delighted with the surprise!